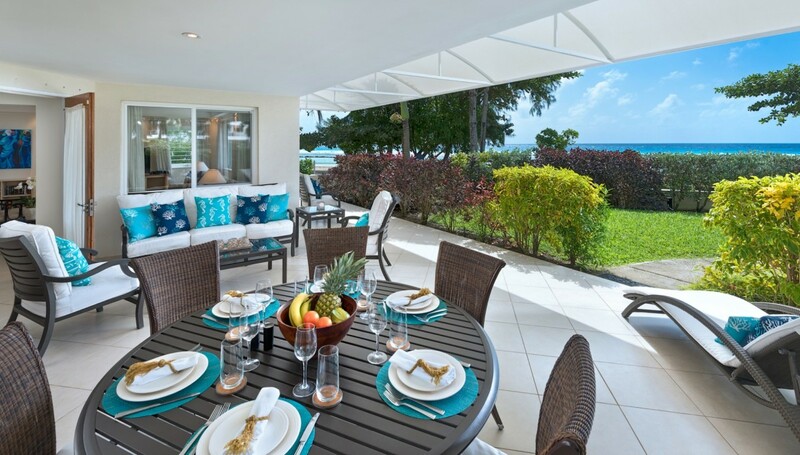 Villa Palm Beach 101, Barbados. 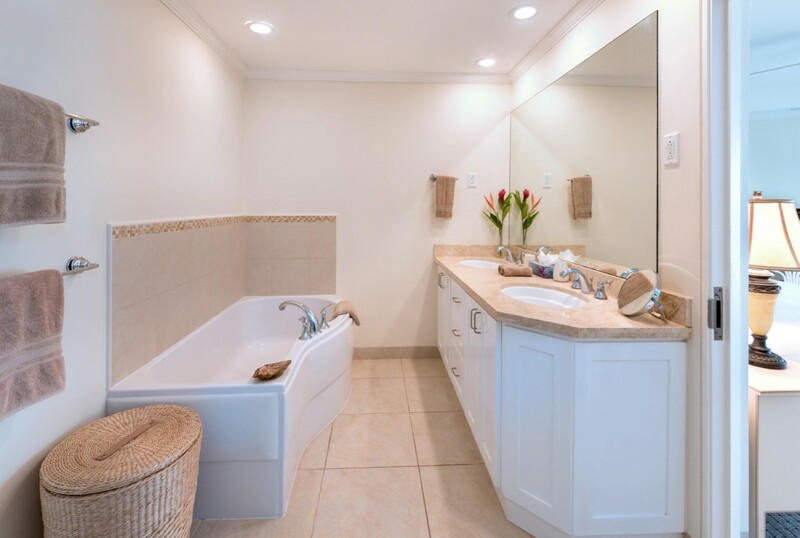 Would you like resort-like amenities along with the privacy and comfort of a private villa? 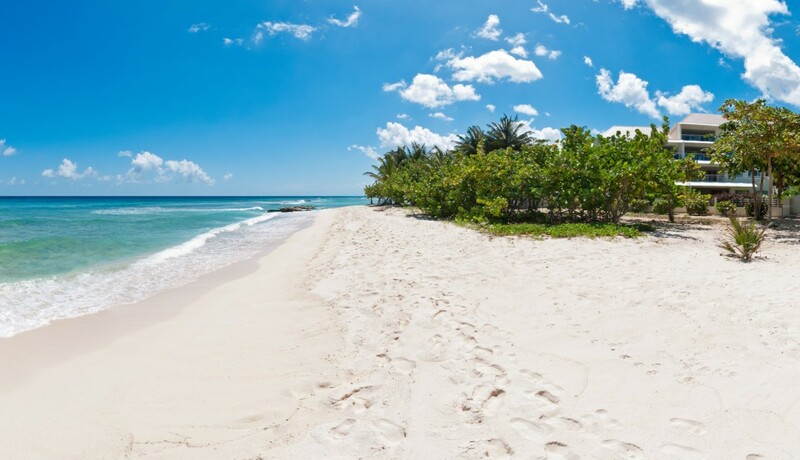 If so, the Palm Beach 101 in Barbados is an ideal choice. 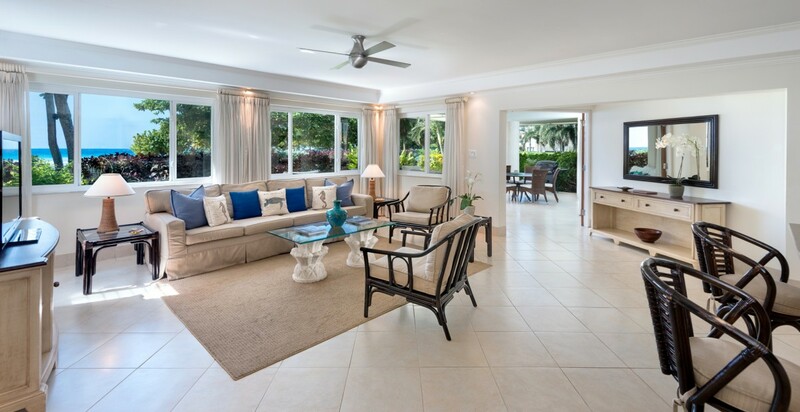 It is a three-bedroom, condominium styled property in the Christ Church area of the island. 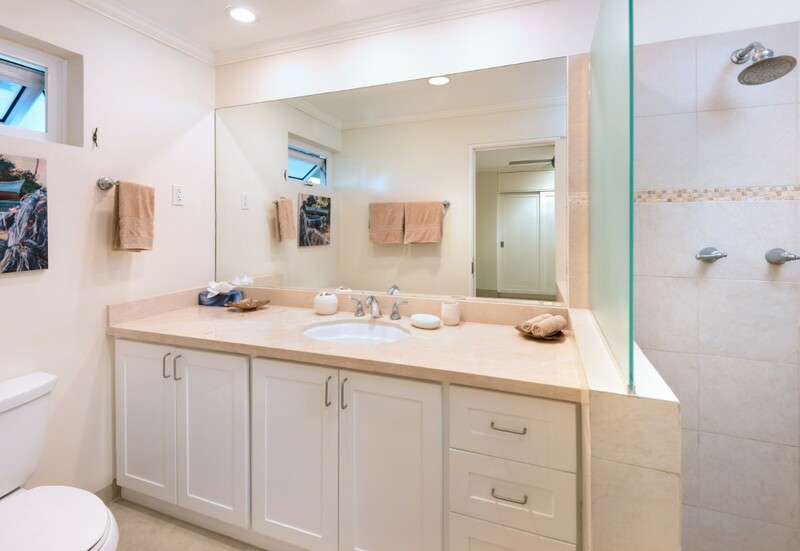 It sits within steps of the sand and is part of a large and amenities-rich community that makes it a wonderful balance of luxury, comfort, convenience and privacy. 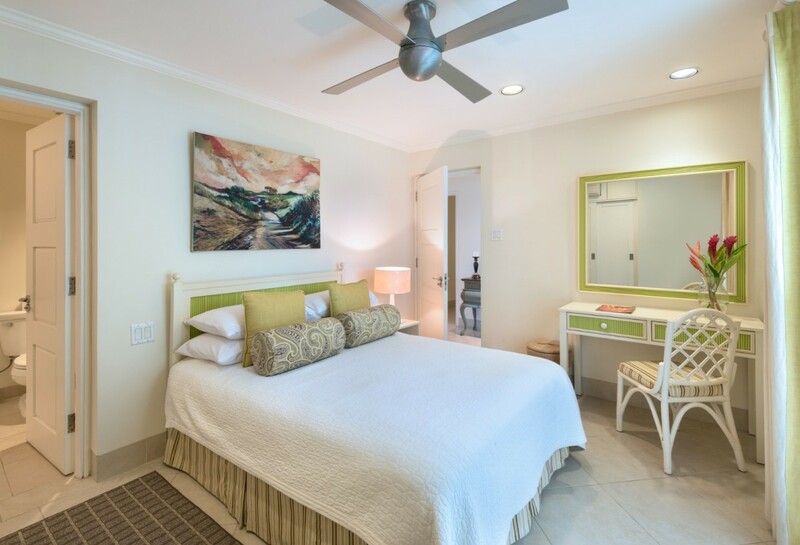 It is within the Condominiums at Palm Beach, noted as being an ideal choice for families, professionals or those eager to savor a quiet getaway. 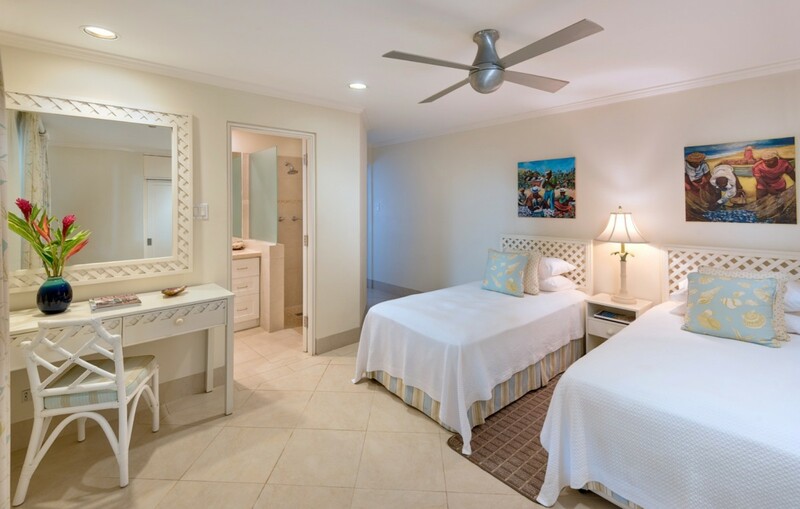 With its waterfront setting close to all of the finest dining, sightseeing, shopping and action Barbados has to offer, it can easily be your sole destination throughout your stay. Not only does it have direct beach access, but also concierge services, large and private grounds, a large pool area, and a fitness room. Of course, you may find that you do not wish or need to stray all that far from your own private terrace. This property faces out to the sea and is separated from the sands by a lovely, private garden and large covered terrace. Furnished as an outdoor living space, it include an al fresco dining suite and several lounging areas that run the length of the villa. Inside is just as appealing and it features an oversized great room with cool terrazzo tile flooring, high ceilings and large windows that face the sea. 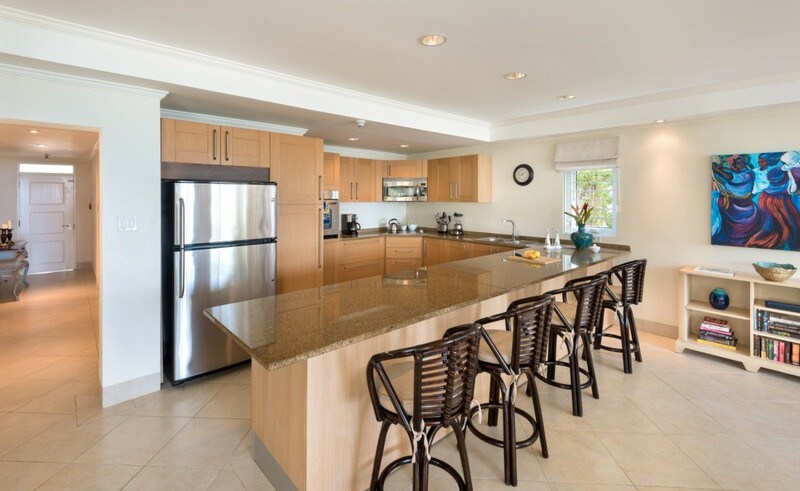 This means you can bask on the oversized sofas or sip morning coffee from the comfort of the breakfast bar while also enjoying the delicious sea breezes and sea air. In addition to the living room, dining suite and gourmet kitchen, there is also the three, luxurious bedrooms. These include a king suite opening to the terrace, queen suite and dual twin suite. 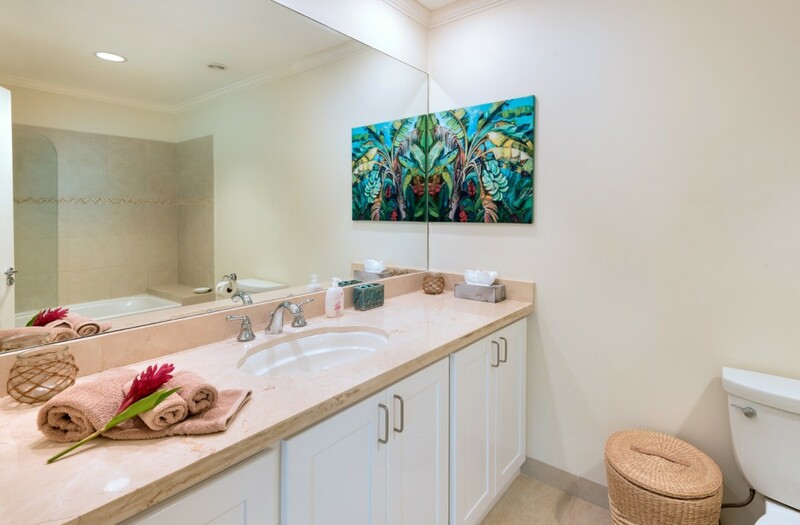 All have private baths and great views. 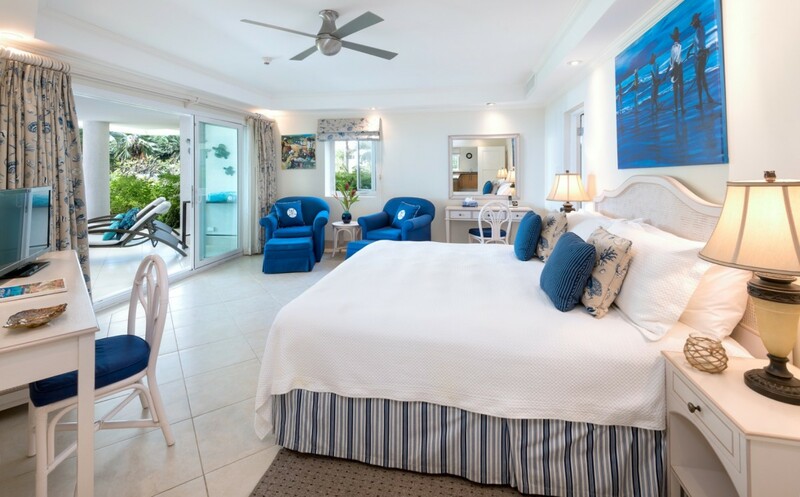 Let the Palm Beach 101 provide you with the ideal getaway for your next visit to Barbados.